Not us, not for a while yet, but this lovely seagull was. Before we can fly south, my baby girl has to go to the northwest. And we are trying to be with her for Thanksgiving, so she does not find herself in a similarly pitiful and dismal freshman year Thanksgiving as I did. And at least we will be by the chilly sea. So, it’s time to not spend, pay off some debt incurred from wedding and college and house stuff, and then MKL and I can get back to warm, white sandy beaches, and he can properly analyze palm trees to his heart’s content as we listen to the tropical breezes whisper through the fronds – one of my favorite sounds There’s lots of beauty to be had in this life every single day. 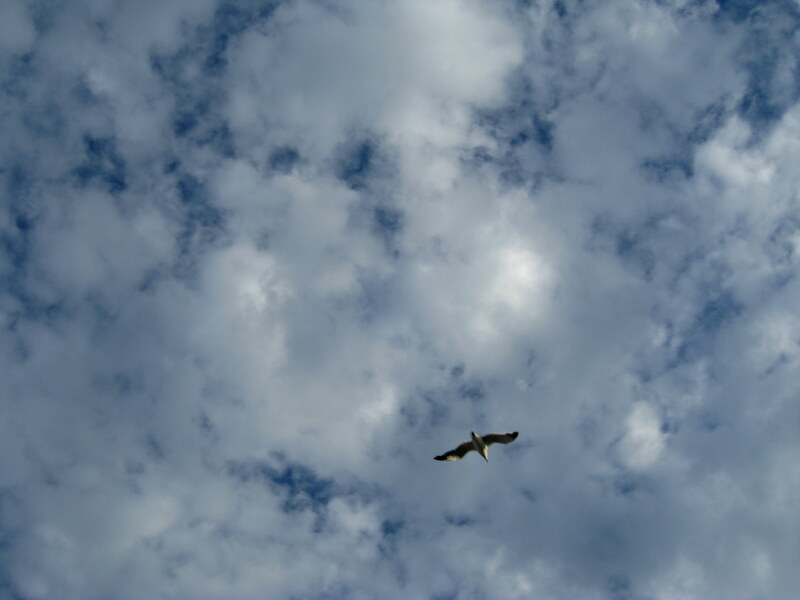 And my mother would have called this a “Jonathan Livingston Seagull” picture – it was one of her favorite books. And that my much-loved blog friend, the late Patty’s beloved daughter survived her head-on collision. The other (intoxicated) driver sadly did not, and he and his family are in my prayers. Patty’s daughter and I have never met, but I wish I could be there to mother her. I know her mom is watching over her – she was an angel in this life, so certainly she is a powerful one in the next. My first year teaching, I taught that book to seniors. Oh the things we covered that year.